Want a bicycle to commute and run short errands on? But afraid of having to store it in a place where it can get stolen? 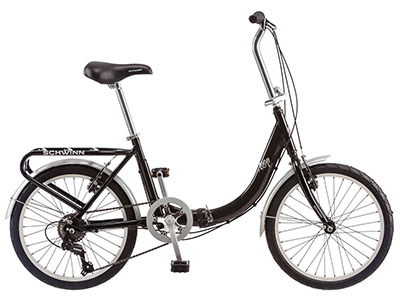 Folding bicycles provide the casual bicyclist with the functionality of a cruiser bike and the ability to actually bring it inside and store it safely. After scouring Amazon, we found six of the best folding bikes and will be rating them according to their star-ratings and features. Read on, as your next best folding bike might be in this top! Able to go from commuting to work and school to hitting this trails, this is a very nice foldable bike for the price. You can fold and store this bike in 15 seconds, it is available in three cool colors, and even has unique folding pedals. Rating at 3.9 stars, the reviews state this is a good foldable bike, but the assembly was hard and the packaging instructions were vague or for a different bike. We rated this last as well because of the weight. This bike can take you from work to hit the mountain trails with ease. It can be folded and stored in 10 seconds, can easily fit in the trunk of a compact car, and comes in four colors. 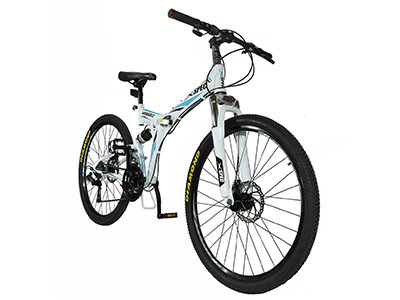 Rated at 3.9 stars, the reviews agree that this is a good quality folding bike and it is lighter than the X Spec bike. Rated at 4 stars, this foldable bike features a paint guard and fenders to protect clothes from dirt, a rear rack to hold bags and groceries, and a company-guaranteed lifetime warranty for how long you own the bike. A lot of the reviews commented on how happy they were with the price and quality. There were some comments on the saddle pad being uncomfortable, so it might be worth buying a softer one as well. 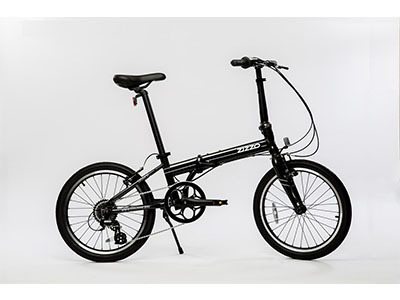 Recommended for: Best folding bike for commuting and riding in the park. Rated at 4.4 stars, this bike can be folded and stored in under 10 seconds, fit in the trunk of a compact car, and is recommended for riders between 5’3″ – 6’0″. People who are between 5’10” – 6’2″ may need a longer seat installed. 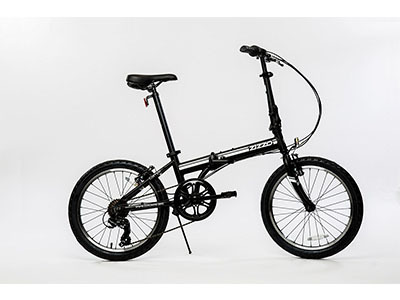 While reviews agreed this was a quality folding bike for the price, several mentioned that it needed adjusting and parts replaced as soon as they got it. Rated at 4.4 stars, this bike folds up in seconds and is easy to carry, has an adjustable stem for riders under 5’0″ to over 6’0″, and has a kickstand and a water bottle mount. 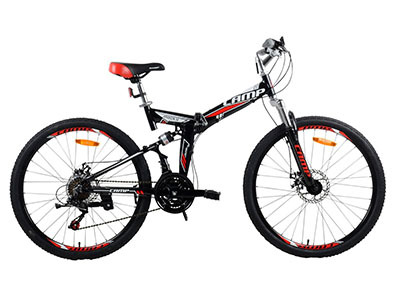 Many of the reviews said this was a really great bike and that it rode smoothly. Any complaints it did have was mostly that it didn’t fold up as small as some other bikes. Rated the best we could find at 4.7 stars, this bike folds up in seconds, has an adjustable stem to fits riders between 5’0″ to 6’0″, and has a kickstand, water bottle mount, and reflectors for dusk or night riding. The reviews were really great on this; in fact, it was hard to find any complaints about it. Any negative reviews seemed to be more on personal preferences like seat cushions. If you’re wanting to get a bike for commuting and trails but worried it might get stolen or just want to keep it from the elements, a foldable bike is the best choice for you. After some Amazon and company research, we found what we think are the six best folding bikes for commuting to work and hitting the trails. Do you know other foldable bikes that could go on this list? 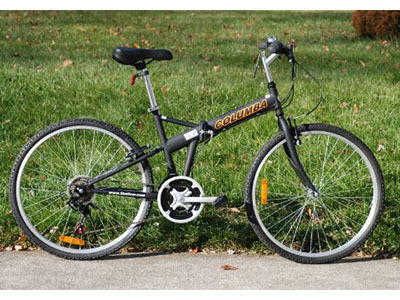 Let us know and share what you consider to be the best folding bike below!